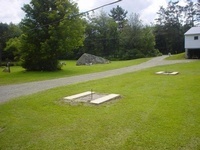 Campground open May 1st through October 31st yearly. Camp office hours: 9 am to 5pm Tuesday-Sunday. 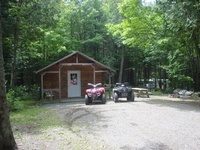 Big Rock is a full service campground with direct access to the Ride the Wilds ATV trail system! 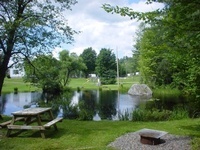 Nestled on 89 acres, Big Rock Campground offers families a friendly, relaxing, peaceful atmosphere. Refresh after a full day of riding in our sparkling pool, enjoy a game of horseshoes, visit with old friends and make new friends at the pavilion, or just relax around the campfire. 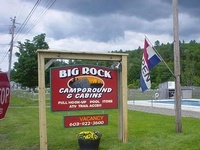 Come see what Big Rock Campground and The Great North Woods has to offer!